Cross-cultural Adventures: How do you wash your dishes? Our dishwasher broke. Earlier this year it was the dryer, which ended up becoming a little game for me of “how long can we hang dry all of our laundry to save up for a dryer before I break down?” The game lasted several months. Now the dishwasher is broken. We’ll see how long we last. As a child, our move from the north side of Chicago to the suburbs was one huge cross-cultural adventure. I had never seen so many White people in my life. I had never seen cornfields. I had never seen such a nice playground. I had never seen a dishwasher. And for most of my time at my parents’ home the dishwasher served as a giant dish rack. As far as I know my parents still rarely use the dishwasher to wash dishes. So when my dishwasher made the loud screeching, groaning sounds and didn’t actually clean a single item I stared at my double sink and wondered. How do you hand wash all of your dishes? I grew up putting dishwashing soap on the sponge and scrubbing each item, re-soaping the sponge as needed while running as little water as possible. 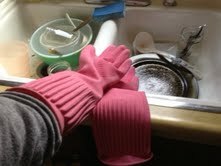 And then we would rinse each item in the hottest water possible while wearing gloves (I prefer the pink ones pictured because they are thicker and longer and pink). And then we put the wet dishes in the dishwasher to dry. But I’m guessing that there is a different method to this madness. How do you wash your dishes? Did any of you grow up using the dishwasher as a dish rack (and also for storage of pots and pans)? I eat a lot of rice – white, brown, sweet, wild, steamed, fried, with Spam, and with kimchee. 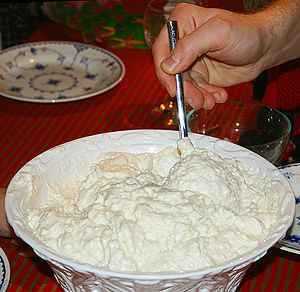 It’s “just” rice, rice cakes, rice noodles, rice crackers, rice porridge. When I buy rice it is not in a box. It is in a 20# bag, which I empty into my rice dispenser. The rice cooker (mine plays a song) takes up precious countertop, right next to the toaster oven and the coffee grinder. I have spoons for serving rice. But until Sunday I had never had rice pudding, and I didn’t know you could eat it with lingonberries. The occasion was my church’s 35th anniversary. My family has been there for at least 5 of those years. The festive, celebratory mood was obvious, and knowing that my church has been such a key place for so many throughout the years continues to give me hope that I too will feel a deeper sense of belonging in the years to come. But I get impatient, and I get cranky. And I wonder if it’s OK that Sunday is the most segregated day of the week for Christians because on Sunday I really felt like the best I could do was eat and leave. I had to ask what “that dish” was, which I learned was rice pudding. I recognized the salmon and the ham & rolls. Thanks to my mom’s days at Motorola I recognized versions of broccoli salad and jello salad. And thanks to Ikea my boys and I recognized the meatballs and lingonberry as well as the blue and yellow. I felt like a guest at my own church. I’ve been told by others that I am not alone, and that it takes time. But when you are in the moment(s), time is not what I want to give. It was a homecoming for many, but it was another cross-cultural adventure for me. I felt so outside inside of my own church, and I am still wrestling with how I as a regular attender can engage well when on most Sundays my family and I stand out. Our traditions are not part of the present or the past, and we are still trying to find our way to places to impact the present and future. I don’t want to get rid of the rice pudding or meatballs, but I really do think potstickers and seaweed would go well with the salmon. Because it is in the breaking of bread (or breaking out the rice in its many versions) and in the act of fellowship amongst sisters and brothers in faith we should find that the differences matter because there is space to delight in the variety, creativity and abundance that is from God. Look around. God doesn’t paint all the leaves one shade yellow. Our differences don’t define us; our Creator does. But that’s easy to say when no one is there to point out the differences and say “we celebrate God’s goodness this way, with this food, with these people”. At the last church we were a part of, we wrestled with the same issue. The church was started specifically for second-generation Korean American youth who were growing up in immigrant, Korean-speaking churches. (And if that doesn’t make any sense to you, please ask for a longer explanation because I would welcome that.) The youth grew up, got married to Koreans and non-Koreans. We had children. We celebrated milestones with kimbap, Korean-style wings, jjap-chae, and dduk. And we assumed everyone would know what it all was and would enjoy it because that is how we all celebrate. And we were wrong. And so I take a deep breath and discover that rice pudding is OK (better with the lingonberries) though I prefer rice cakes or the meatballs. Because the idea of creating an inviting and welcoming space isn’t limited to Sundays and a church. Have you ever been to a wedding and wondered why the father of the bride didn’t crack a smile or why the bride and groom genuflected before the parents? Did you think it was strange if not out right rude for 1/4 of the guests to leave right after dinner? Or what were the parents throwing at the bride and groom? And what was in those envelopes on the table set up with food and dates and sake? If you are invited to a Korean-American wedding in Chicagoland I’m available to serve as a cultural guide of sorts. I figure I’m some sort of expert on Korean-American weddings since Peter and I had one almost 18 years ago, back before you could rent a hanbok (traditional Korean clothing – ours were custom-made and sent to us from Korea by my aunt and uncle) and all the fixings for full on pae-baek ceremony (a Korean wedding ceremony, which we did after the “American” ceremony) or find a make-up artist who specialized in Asian American bridal makeup (btw, Grace, you are beautiful – your amazing make-up artist, who I would hire if I were getting married, had the perfect canvass to work her magic on) or find wedding planners, venues and catering companies that will work with brides who want to cut a wedding cake, take amazing and creative photos and serve up a mean buffet of white rice, braised short ribs, kimchee and wine. Yummy. This past weekend Peter and I had the honor and joy of attending the wedding of two Northwestern University Asian American InterVarsity alumni, Grace and Nate, and thoroughly enjoyed the company of many other IV alumni and friends as we discussed different wedding traditions – cultural and generational. For example, it’s an unwritten rule/a guideline/strongly suggested at Korean-American/Asian-American weddings that the extended family is introduced in some manner. Sure, the wedding party and bride and groom often make their way into the reception to some fun music, but aunts and uncles, grandparents and sometimes cousins get a mention and applause. Why? Because they are FAMILY. The wedding is about the bride and groom…and their families being joined together. Some have travelled cross-country, others cross-countries, not just to be in the pictures but to be a present reminder to the bride and groom of the depth and history of their family, and their presence is a blessing, sometimes out of obligation, but usually out of a deep sense of tradition. You are there for your family in the good times and in the hard times. The people who are there for the weddings will be there for the funerals, too. Another thing we pointed out was the generational mass exodus that usually occurs after the meal has been served and before the dancing begins. I remember many years ago at another Korean-American wedding reception, the “older” guests ate, thanked the parents of the bride and groom, and then promptly left, leaving several tables empty and lots of extra cake. A non-Asian American wedding guest commented on the rude departure, and I said to her what I write now: it wasn’t rude. Didn’t anyone teach you manners? Don’t overstay. For the older generation, they are there out of respect for their friends – the parents of the bride and groom, and they leave to make plenty of space for the younger generation to have their fun out from under the glare and perhaps confusion of the older generation. When Peter and I got married, logistics limited our options for a reception so my parents offered to pay for a second reception of sorts at the nearby Holiday Inn so that our friends – julmu-nee-deuhl – could dance and laugh and celebrate on our own. As we watched Grace dance with her father and Nate dance with his mother, the talk at our table turned to the pros and cons of having such a private and sometimes slightly awkward moment in such a public way. And we talked about about the future and how I couldn’t imagine Peter and Bethany sharing a “traditional” father/daughter dance. I imagine something that starts out to “Butterfly Kisses” and quickly devolves into the history of dance. Peter’s and my parents came to our second reception and tried the whole father-daughter/mother-son dance and fortunately it quickly evolved into a wedding party free-for-all and bridal party cry fest. My father and Peter’s mother loved us, respectively, but dancing was never going to be their thing so we moved on to Bizarre Love Triangle. I suspect Peter reviving the Cabbage Patch will be a perfect moment for him to share with Bethany. It has been fun to be on the guest-side of weddings and to learn about groom’s cakes, dollar dances, breaking glasses, jumping the broom and wedding sponsors – fun because we’ve so often had friends or gracious guests who have helped us navigate the cultural waters. And though it’s a few weeks before the wedding season is in full force, I love a good wedding story. What are some of the cultural traditions and twists you added to your own wedding or have seen others incorporate into their special day? What are some things you’ve seen at other weddings that needed explanation and taught you something about your friends you didn’t know? No, I am not making this up. This is why one step at a time I am learning to love my church. Last night was our annual Family Advent Night – a fun night of gathering together to do a family craft and eat breakfast for dinner. My kids have learned to love having breakfast for dinner. Seriously, who wouldn’t love being offered the choice of plain or CHOCOLATE CHIP pancakes for dinner? So having breakfast for dinner was one of those cross-cultural experiences that happened over time – trips to IHOP or Denny’s late at night/early in the morning after some dancing at Medusa’s during my high school years, trips to Omega late at night/early in the morning after studying or formal in college. But that wasn’t really eating breakfast for dinner. It was having second breakfast. But, it was a primer for this Korean-American girl who would eat rice and kimchi jigae for breakfast, lunch and dinner if she could. In addition to breakfast for dinner was a special delivery for M – his jar of pickled herring that I’m going to guess he bought at our church’s summer missions silent auction. M sat down and with the same look on his face that I have when I’m sitting down to a meal I know I am going to enjoy, he opened his jar of herring. For background sake, I attend an Evangelical Covenant Church – a denomination with deep Swedish roots. No, not “Hey, I like Ikea” Swedish (I love those meatballs) but Swedish. And maybe, for some at my church, so much so that they don’t know how Sweden and its values and traditions have been integrated into church and life until someone like me shows up and wonders what the deal is with pickled herring and hymns sung in Swedish and Advent candles in blue (is that Swedish?) 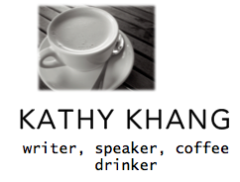 and coffee at night and respectfully restrained worship. Truth be told, I’ve heard of pickled herring but until last night I had never actually seen it. And while I’ve known folks who have offered me arroz con pollo, pan tres leches, collard greens, lumpia, pho and chicken feet there are other foods, like pickled herring, I’ve never had the opportunity to see or taste. Which is why I am so grateful that M offered me a taste of his pickled herring because food, and the food of my people and of your people, is such a part of we are, and how we live, etc. Food can tell the stories of why our ancestors ate what we eat, values, land, traditions. It doesn’t define us, but food certainly is a part of who we are. Even authors of the Bible shared stories of and with manna, milk and honey, unleavened bread and water and wine. So I tried the herring. Not bad. Personally I think it would have gone great with some rice and kimchi (pickled spicy cabbage), but that’s just me. What I loved is that we broke bread (pancakes, sausage, fruit and pickled herring) and shared a sort of communion in a most unconventional way but hours later is still leaving my soul deeply connected to God and the beauty, diversity and richness of His creation and His people.